If you have a shortage of people who play TS4 to run rules by, I would be happy to help out in anyway that I can. Any suggestions you want to add to what has been posted would be helpful. I haven't read through them yet. I will be happy to see what you have to add to the ones already suggested. TS4 definitely needs to be brought up to speed. My plan is to get into it this weekend. Once I do I will post the new rules and let ya'll help me refine them also. I will do my best to put some stuff together tomorrow after work. Ok, so I just copy and pasted the original TS4 rules into word and added my ideas right in it. I took some from the suggestions listed further back. I have put in bold my "commentary" as it is. I hope I found all the stuff that doesn't happen in TS4, and changed it to apply to this version. The Officially Wacky Boolprop Challenge is the official game challenge of Boolprop and it is also officially wacky. Every member that completes and logs this challenge will be rewarded with bonus points within the challenge and an official medal here at Boolprop. Best of luck, if you choose to line up your flamingos and face the music with your smustle face on! This challenge runs for three generations but this count does not include the founders. So, basically, a four generation legacy challenge. -No cheats such as maxmotives shall be permitted; testingcheatson may only be used to fix bugs. Building cheats are allowed. -No hacks that unfairly affect gameplay to your advantage are permitted. Hacks that are purely cosmetic, fix bugs in the game, or save your fingers from unnecessary clicks are permitted as long as they do not unfairly give you advantage both in the main challenge and any additional mini-challenge you take on. Master Command is ok as long as you do not skew the settings to allow for more than 8 people in your family, or change any setting to manipulate the rules. It should be used as a population controller for the rest of the world. -You may, of course, use any means necessary to salvage your game, your family and this challenge from any horrible glitches that come your way. The challenge ends when the child(ren) of the third pregnancy of the third generation reaches adulthood. -Your founder may be a sim born in game if you wish. -All of the traits should be rolled in some manner in order to obtain randomized traits. -You may use whatever lot traits you want, as long as it doesn’t violate any other rule. -You may start on any size lot, with or without a pre-built house, that your Sims can afford either straight out of CAS or Gallery. Just make sure it's a good enough size to stay on for the duration of the challenge for a family that's going to average about five Sims if not more, as you cannot move away from this lot. -Each generation, starting with the founders, must have three pregnancies. If your Spouse dies before the third pregnancy you can re-marry or adopt, if you grow too old you must use potion of youth/ambrosia/Essence of Life or adopt. If you skip out on a pregnancy during a generation it's -10 points for each pregnancy missed. -Heir polls are required. Each heir hopeful should have their best facial expression pictured as the challenge is wacky the sims ought be wacky too! -Graves must be kept on the lot. -You may not hire a maid/butler for the duration of the challenge. -If a child that resulted from one of the three mandatory pregnancies is taken by a social worker -10 for each child. Any additional children through non-mandatory pregnancy or adoption that are taken results in -3 points, if the child was a Bad Apple (see Mini-Challenges), whether or not from a mandatory pregnancy, only -3 points. -The Drew Rule, if something breaks it can only be repaired at 12pm-1pm, new stuff that breaks after that time cannot be repaired until noon this next day. You may NOT have Gnomes as a lot trait. -An Army of Flamingos, you must have three flamingos on the lawn for every member of the household. If someone kicks them over you must straighten them back up every morning (between sun-up and noon) during "Roll Call". All of these bonuses are one time only bonuses unless specified otherwise. You may only choose to do three groups of bonuses. You must complete all three bonuses in order to earn the points for the given expansion pack. -Have someone in your family max each of the Get To Work Careers (Scientist, Doctor, Detective). You must “join them” at work at least 50% of the time. -Have a sim max a retail business at some point in the challenge. -Have a sim per generation attend AND participate in each festival at least once. They must engage in the activities offered and be there for the most of the festival. -One sim per generation must max singing and win a Karaoke contest. -If your pet is a dog, then you must max the training skill. If you have a cat, then they must complete the feather collection and make the owl. You must also train out all bad behaviours. -Someone in the family must run a vet clinic for the entire challenge. -By end of challenge, EVERY single plant type you have available to you must be perfectly grown on your lot. You may take on as many or as few of these as you like. So you want to marry in Simselves? They have special rules if you do, and special bonuses. You must marry in one each generation, starting with the founder and ending with the second generation heir. Free will must be on at all times. You are allowed to give them a max of eight commands every 24 hours. These commands reset, they do not accrue. Use 'em or lose 'em. Keep a pencil and paper handy and mark it down when you give a command and keep track. During the rest of the time their crazy antics must be endured. These commands do not include canceling a former interaction. You may do so only if you are lining up a new one. If you are not going to line up a new command then you may not cancel the interaction. There are other ways of getting Sims to stop what they are doing, no matter what it is, without controlling them. Naming the first generation's three children names that start with B, O and O. The second generation's children would be given names that start with L, P and R. The third generation's children would be given names that start with O, P and N (for .net, of course!). If twins are born they count as one letter, tough bananas! Name them both with the letter the one child would have been assigned and then you must have another child. So if I had my first generation heir have a boy that I named Larry, then a set of twins I would name them Peter and Paula, because they only count for one letter, I would then have to have them try for another baby to get a Rachel. Additional children born/adopted whether intentionally or accidentally are considered outside the naming scheme and can be named whatever you want. Every generation one of your children will just plain be a bad apple. You get to choose which child it is at birth. Once chosen you cannot change it. A bad apple cannot be controlled until adulthood. You can not select your bad apple until they are a teen. You may not view their wants and fears, you may not view their needs, you may not view anything that you cannot already see with all of the interface fully collapsed. As a child and teen you cannot control them at all. Once an adult they must live by Simself rules as before stated in the SimSelf Mania mini-challenge. At this point you may also just move them out so they can be controlled by story progression. Having the Bad Apple be taken by a social worker or die before reaching adulthood causes you to lose this mini-challenge. You may purchase aspiration rewards that your Bad Apple has rightfully earned. Bonus bonus points if your bad apple earns negative character traits! A generation of your choice must give birth to triplets. You may name each of the babies after a different letter in the naming scheme if you go for this, you are also exempt from the three pregnancy rule that generation. Additional trio rules apply. You must have each triplet max three skills of your choosing as a child, make three best friends (outside of the family), earn 3,000 Simoleons, and complete the golden trio of getting an A+ in school and reaching the top of their teen career as a teen. Additional children may be born after the triplets, the trio rules do not apply to them. but if it's food it has to only be Grilled Cheese! Anyone in the household eating anything else makes you lose this mini-challenge. Otherwise, morning, noon and night your Sims will eat, breathe and live the glory and wonder and majesty of grilled cheese. Whether they like it or not. Bonus bonus points if they achieve the hidden Grilled Cheese aspiration! You must build a community lot to be the Boolprop Clubhouse and every sim from the three pregnancies every generation must visit this lot 5 times during their lifetime. The lot must have an army of flamingos outside and any llama deco you can find. You must have your female founder and each of the heiress' get her three pregnancies from someone outside of the family. You may not marry the father (or mother) or move them in. The heir must be female so strawberries are your friend. Every member of the family must have either their picture taken, portrait painted (paint from reference) and hung somewhere about the house. You can choose the age or do multiple ages, take group shots or individual pictures, it's up to you. Your house must contain a picture of everyone that has ever lived in the house by the end of the challenge. Also, each generation, starting with the founder, must write one novel, to keep track of the family's memories. In total four novels must be written one by the founder and one by each of the three heirs (first gen, second gen, third gen). You can choose to do only three, one for each of the generations, or have the founder do one and get an extra 5 points because at this time you won’t have the Collector to help. Again take on as many or as few as you like. Top any 10 career tracks with any combination of household members! Complete all aspirations available to you at least once! Complete all the collections with one sim! For the last one you could do: Have a Club with all the club perks. OK, I went ahead and made the changes to the first post - I do still have some places that I think we need to refine and tweak some more - those are highlighted in the first post, plus I am going to list below. Once I finish the Bladderstones, I will start a play through to test this ruleset out also. -Your founder may be a sim born in game if you wish. << if the sim is born in game, they will come with skills - should this be allowed or should we start with a freshly made sim? >> I like this as a mini challenge - I think it might be too much as the 3rd task for City Living but we should have another task for City Living section, and this will need to be expanded as a mini challenge. I think this is two tasks (?) - which gives C&D four tasks. How about moving bevaviors to a mini challenge - where they have to have at least one dog and one cat each generation - each dog has to be trained on every skill and both pets have to have all bad behaviors trained out. The C&D task would just be trimmed down to the training skill for the dog and the feather collect/owl for the cat. ?? This seems like a lot to do - I haven't played with the new changes to the gardening yet. How about moving gardening to a mini challenge and swapping in beekeeping as the Seasons task.?.? About not being able to cancel a queued up action - but being able to assign an action - just giving them an action will auto cancel anything queued so that is a loophole - do we leave it open? Is the 3,000 simoleons that need to be earned during child and teen years or just during child years? I read it as child only, but maybe it includes as a teen also? 1. We will still need to actually assign points to most of the challenges. 2. If we take out On Ley Line under City Living...how about we add that 1 sim per generation must visit each food truck and eat all recipes. They must earn the hidden traits of Spice Hound and Chopstick Saavy. This sim would be exempt from the Grilled Cheese bonus challenge (if you are doing both) only when eating from a food truck. ETA: I just re-read what you wrote and I do like having one pet at the beginning and you have to have a baby pet and start over...so either way seems ok to me. I don't know if there is enough available to do BOTH an EP bonus and a mini-challenge...yet there's too much to have EVERYTHING in one. I feel like we just need to pick and choose for the EP one, since I feel like that we should offer a complete set. 4. Seasons: I haven't played with bees (I am terrified in real life lol), but I can tell you that gardening got ALOT easier and less time consuming than before. You can get all the plant types from seed packets when your skill level is high enough, and there are now only 5 levels of perfection instead of the 8 that there were before. How about we leave this alone for now, like you have it, and you decide after playtesting? 5. I'm reading the golden trio money to be for children too, and I think that's a little bit much in TS4. They will need to spend a lot of time doing their children skills, which do not accumulate a lot of money, and so I think we should either take it off, or push it to the teen age (make it clearer). 6. Simself start...yeah I feel like that whole section is very confusing and should just come out. 5. I'm reading the golden trio money to be for children too, and I think that's a little bit much in TS4. They will need to spend a lot of time doing their children skills, which do not accumulate a lot of money, and so I think we should either take it off, or push it to the teen age (make it clearer). yeah, I think we remove the money. We have a lot lined up for the trio and removing the money requirement will still leave them with a lot to accomplish during their child and teen years. OK, I have my founder created so I am going to start the play test today. So excited!!! I can playtest too if you want, but you will be WAAAY faster than me, as I work two jobs. I was thinking about what to add with On Ley Line bonus, and I'm thinking that maybe the all the kids need to grow up with a character trait, doesn't matter what kind. The only thing is that not everyone has Parenthood, so I don't know if they will be able to get character traits. Lot traits, I THINK, came with an update, so everyone might have that. This bonus isn't currently in the rules at all. At the beginning of the challenge you must enable the On Ley Line lot trait, and leave it on for the entire challenge. You must woohoo and give birth on your home lot for the entirety of the challenge. Multiple children will only count as one pregancy and each generation must still have three pregnancies. Each pregnancy will count as one letter if you are doing the Boolprop Naming Theme mini-challenge. Each child born during the challenge will also need to have at least one character trait (positive or negative) upon finishing their teen years. Do we need to add a bonus challenge for the game packs (Outdoor retreat, vampires, etc). I left them off because they weren't EP's, however, some of these gamepacks have a bit to offer. simfulicious wrote: So excited!!! I can playtest too if you want, but you will be WAAAY faster than me, as I work two jobs. Definitely, if you have time to play-test, that would be awesome Anyone else also that wants to jump in and playtest. I added the points to each of the sections in the main rules and I will add the ley line as a mini. I think we can add bonuses for the game packs that have enough game play to warrant it - outdoor retreat and vampires for sure; jungle adventure and dine out, maybe. Parenthood kind of rolls into the Golden Trio (and I just realized that I updated Golden Trio to require character values without considering that requires Parenthood, so I updated that to make it required only if the GP is installed. -Each generation must befriend the Hermit that lives in the deep woods. -Whole family must go camping every weekend of summer. If you don’t have seasons, then every 4 weekends your family must go camping. -One sim per generation must be turned into a vampire. -This sim must complete a vampire aspiration. -Vampire sim must turn 5 sims outside the family. -Founder/heir must go to Selvorado to find their spouse...they must be a local. No going to Selvorado and coming back with a townie who also happened to be on vacation! -Founder/heir must build a relic and use it on someone outside the family. Those are good, I like them. I will add them in. I just finished setting up the challenge file and writing up the first post - meaning figuring out that bonuses and minis I am going to test - I tend to use my posts to keep track of what I am planning. I am going to take a bath now, and then proof read it before posting it. Might not actually play tonight. But she is ready to go. Also, I go on vacation on the 19th (beach-beach-beach) so not sure if I will take my laptop and play while I am gone, or just read (have to transfer the save file if I do) so I might not get to play much until we get back on the 22nd, but I should get going on her first week before we leave. One thing I noticed right off the bat on the collections - there are only 9 collections that have 20 items or more. If we lower the level to 15 items or more, then we raise the number of possible collections to 15 possibilities. What do you think? I think that’s fine. I just didn’t think the small collections should count. I agree about the smaller collections. I will update the rules to lower collections to 15. 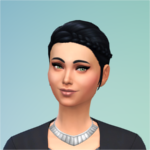 I know when I did collections with my legacy collector, I made her a vampire so she would have time because it seemed to take forever to complete them - and she only was able to complete 13 before I quit and de-vamped her and moved out to the next generation. I was just Reading through the rules to pick which bonuses I was going to playtest and noticed that the Jungle Adventures section is not clear as I intended. Can you update the sections to say ALL founder/heirs? simfulicious wrote: I was just Reading through the rules to pick which bonuses I was going to playtest and noticed that the Jungle Adventures section is not clear as I intended. Can you update the sections to say ALL founder/heirs? On the City Living tasks - one sim per generation - are we counting the founder as a generation plus the three generations after or just the three generations (so three or four generations of festivals/food stalls, etc)?